Rome is a city where history lives down every winding cobblestone street. 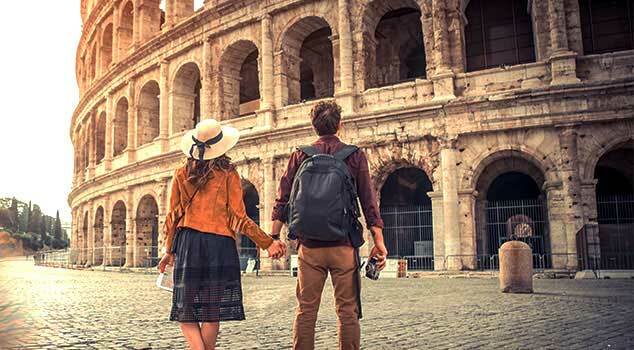 A vacation to Rome from United Vacations® allows you to explore ancient civilizations at the Colosseum and the Roman Forum, or make a wish at the Trevi Fountain. See and be seen at Piazza Navona. Take in the cavernous beauty of St. Peter's Basilica and mail a letter from the famous Vatican mailboxes. 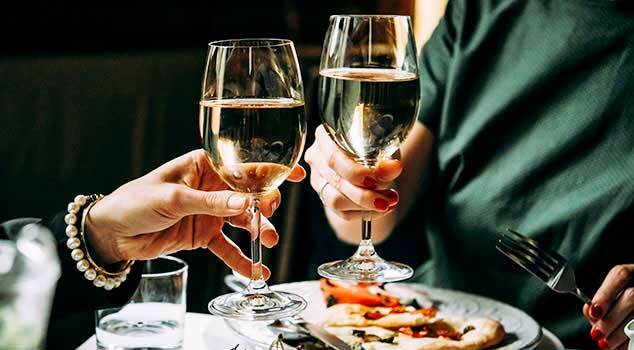 And after a day of exploring a city that is practically a museum in and of itself, dine on unrivaled Italian cuisine at a variety of restaurants, from small family-run trattorias to gourmet ristorantes with master chefs. No matter what you do in Rome, one thing is sure: You’ll be awed by the city that is known as the birthplace of Western civilization. Take a look at great United Airlines® flight options to Rome and book your next vacation with United Vacations. Make sure to bring the camera. Not only is Rome filled with world-famous sightseeing attractions, but lesser known wonders like The Aventine Keyhole and Centrale Montemartini are well worth discovering. Let your feed guide you to the next wonder. 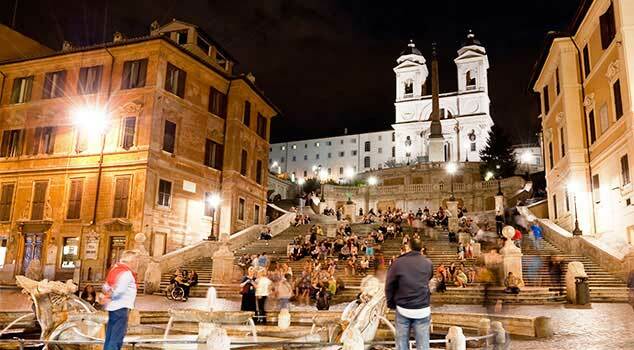 Rome is known for a varied and vibrant night scene. Enjoy international flavor at the Campo de’ Fiori neighborhood or check out the more artsy scene at San Lorenzo. So you want to know where to get dinner in Rome? The answer is: you can’t really go wrong. Ask a local their favorite restaurant and order a bottle of house wine. Then tuck in for an amazing meal. Every single night. By both coach and foot, visit must-see sites like Piazza Navona, Trevi Fountain and the Pantheon on the 3-hour Rome morning tour. Visit the Vatican Museums, Sistine Chapel and St Peter’s Basilica on this must-do Vatican walking tour, in a group of no more than 20 people. Start your evening with a panoramic night tour of the city. Then, enjoy a traditional Italian dinner in the district of Trastevere. You'll discover the secrets of Imperial Rome's gladiator games, get hands-on with ancient Roman history and have the best fun you can imagine! Resort info: Situated between Vatican City and the Old Town, this popular hotel is well placed for guests hoping to experience the true essence of Rome. Resort info: Welcoming guests from all over the world, this superior hotel offers the perfect blend of modern amenities and late nineteenth century style. Resort info: In the historic center of Rome, this upscale European hotel offers panoramic views of Rome and convenient access to nearby attractions. 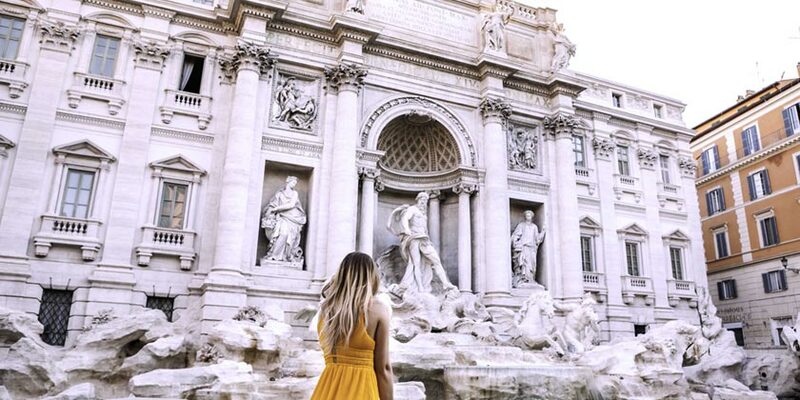 Resort info: Located within walking distance of famous sites such as the National Roman Museum, the Coliseum, the Pantheon, the Trevi Fountain, the Roman Forums. Resort info: A friendly property promising good value and personalised service. Located within walking distance of the Colosseum. Resort info: A friendly property in the heart of Rome. Highlights include free Wi-Fi & a great location close to Termini Station. Resort info: A traditional property offering comfortable accommodations. Highlights include multiple dining options and is within walking distance of the Colosseum. Resort info: A sophisticated property that boasts refined interiors and an excellent location within walking distance of the famous Via Veneto.